Insomnia is a sleep disorder that causes suffers to experience trouble when falling asleep, or staying asleep. According to the Sleep Health Foundation, one in three people suffer from this disorder in some degree. More commonly, insomnia is seen in elderly people, and is twice as likely to affect women than men. This may be due to increased rates of anxiety and depression in women, which can be associated with insomnia. Though the disorder affects sleep, the effects last throughout the day with suffers often unable to focus on tasks. It is important to recognise insomnia, and work towards overcoming it. Here are three things that may assist with your sleep, and lead you to having a better night’s rest. The first and perhaps most important aspect of sleep is the environment around you. According to the Division of Sleep Medicine at Harvard Medical School, the bedroom environment can have significant effects on sleep quality and quantity. Assess your sleeping situation, and consider if it can be improved. Light has a large impact on sleep, so ensure that the room is sufficiently dark during times of rest. Temperature is also a huge factor, with the optimum level unique to each person. Finally, your mattress and pillows will ultimately determine the position in which you sleep. Ensure that your pillows are supportive, and your mattress free of any lumps. You may have to purchase some upgrades, perhaps splurging on a memory foam mattress or some expensive pillows; since we spend one third of our lives asleep, it is a worthwhile purchase! 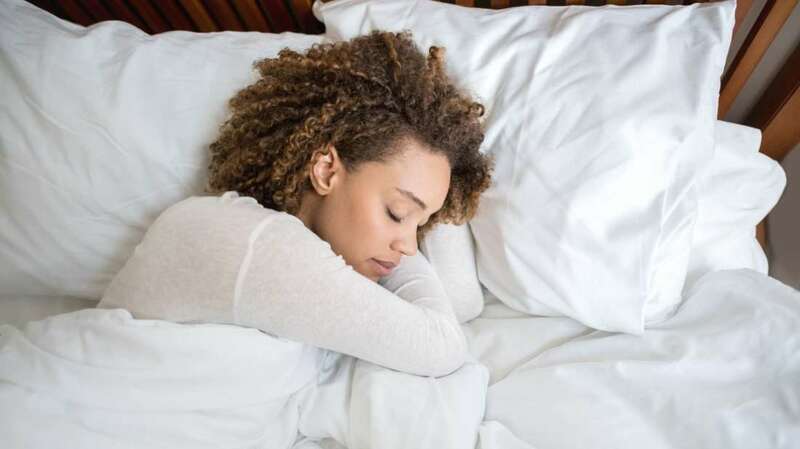 While this point may scare some people away, it is no secret that staying active can significantly improve your ability to fall asleep at night. This has been scientifically proven, with many contributing factors discovered, including lowering of stress levels and regulation of body temperature. Taking care to participate in regular exercise, therefore, is a way to assist with any sleeping issues you may have. This exercise does not have to be in a sweaty gym, or running 10km a day (although if this is your thing, enjoy! 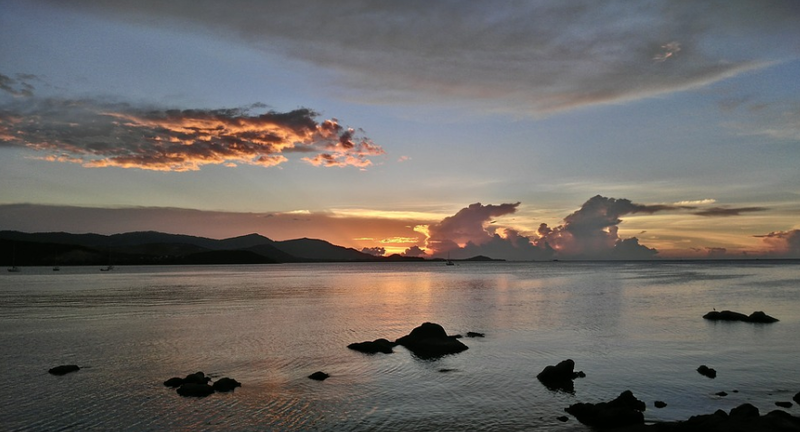 ), and can simply consist of a morning or afternoon walk. Dancing, swimming or even rollerskating are all other options to consider, so don’t be afraid to get creative with staying active. Participating in a sport is a great way to stay consistent in your exercise routine. The Department of Health and Human Services has some great information about this, so check out their website if you’re interested. This may not be possible for everyone, especially those who do shift work, but having a sleeping schedule can help program your body to know when it’s time to sleep. For one week, try going to bed at the same time every night, and wake up at the same time every morning. See how you feel, and if it has made an improvement then incorporate a sleep schedule into your everyday life. If you do not see any changes, consider adopting one of the other tips mentioned, or see a healthcare professional. There we have it, three ways to get a better nights sleep! Try them all, or pick one or two and assess your progress. Remember, if you have suffered from insomnia and these tips have not shown any improvement, consult your doctor. Your sleep is very important, and any struggles should be recognised and addressed. Good Luck. Keep Your Homework Organized with These 3 Fun Tools! This is the time of year when the back to school frenzy starts to subside. Students and teachers alike are starting to ease into their school year routine. A daily dose of homework is the norm for many students when the school year is in full effect. It may come in the form of quick reading and math sheets for the little ones just starting out in elementary school. But for everyone else, homework can be packed full of lessons and note taking. If this is the case for you or your student, make sure you’ve got the best tools to keep yourself or your children in maximum organization mode – and have a blast doing it too. Here are three must-have tools from OOLY that will keep your homework on track and packed full of color that will stimulate the mind and keep the learning process fun! One of the most creative ways to help words pop off a page is by using gel pens. If you’re spending considerable time outlining a chapter or organizing research for an essay, multicolored pens can help you organize your facts and your thoughts. Use a different color for each category like dates, points you want to make, important people or periods to remember, etc. OOLY has plenty of color packed gel pen sets to choose from. Gel pens glide on with smooth, rich strokes to leave your page in a rainbow of organization. Try the 6 Click Neon Multi-Color Gel Pen for bright eye-catching hues. 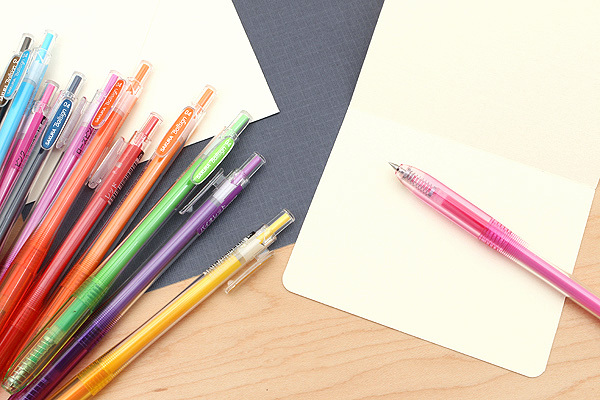 Check out Mighty Mini Gel Pens for your notetaking needs in a neat, compact design. Or choose Petite Point Fine Tip Gel Pens for a nice variety of color in 12 elegant choices. Whether you’re reviewing your notes or finding the important points of a reading assignment or research notes, highlighters always come in handy for helping you find the points worth remembering. The typical yellow highlighter seems to be the go-to choice for many dutiful students. But why not change it up a bit, and go for a fun highlighter option that will make your homework a wee bit more entertaining? Take a look at OOLY’s Fresh Pick Scented Neon Gel Crayon Highlighters for a fun, friendly scented choice. These highlighters come in five fanciful colors that will keep your mind and your nose stimulated! Another option that gets an A+ for versatility is the Do-Overs Erasable Highlighters. Made a mistake? That’s okay! Just erase it and highlight again. The perfect companion to multi-colored gel pens and helpful highlighters are sticky notes. Sticky notes are must-haves to keep you on point and efficient when studying or organizing notes. OOLY has a collection of whimsically entertaining, and totally effective sticky notes to keep you on track and have a little fun doing it. Consider Note Pals Sticky Tabs for a quirky collection of colorfully cute critters to keep tabs on your pages. Or choose Notes On A Roll Decorative Sticky Tape to keep your homework happening with the happiest of vibes. Do you have a move coming up? If so, you’re probably stressing out a little. There is a lot that you need to do, and it can all seem overwhelming. With that in mind, here are the things you need to do to get your home ready for a move. We hope that this list will help organize your chaos a little bit and make moving a little less stressful. The first thing you should do is create a checklist. Take some time to sit down and think of all the things you need to do. Jot them all down, no matter how big or small the item is. As you’re preparing to move, you’ll probably think of more things that you need to do. Just jot them down at the bottom of the list. Once you finish an item, cross it off. Having a moving checklist like this will help to ensure that you don’t forget everything and will make it so you don’t have to keep everything to do in your head. A good mover is key to a less stressful move. They will handle the majority of the work, and free you up to do other things. Take some time to search through local movers in your area and compare them against one another. Look at their online reviews, their insurance coverage, and their rates. 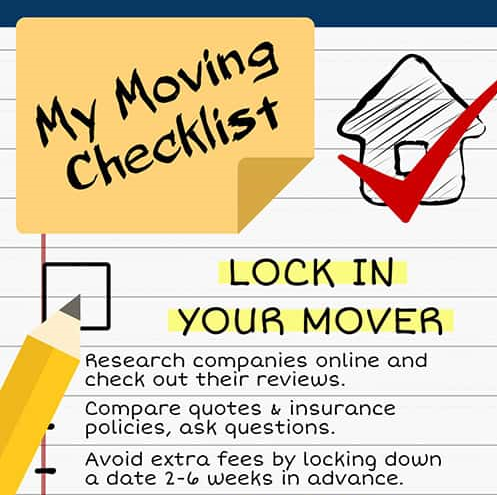 This should give you a good idea as to which mover to hire and make your moving day much easier. One of the biggest things you’ll have to do before you move is get rid of any junk. Chances are you’ve accumulated some things over the years that you just don’t need any longer. By getting rid of them before you move, it will help you to pack light, and make your moving day a little easier. Go from room to room and figure out what you no longer need. Then you’ll have to decide what you’re going to do with the items. You could try to sell them online or through a garage sale, donate them to charity (for things like old clothes), or simply throw them away. Consider how much time you have and how much effort you want to put into this. If you’re moving in a week, you likely don’t have time to throw a garage sale or post everything online, so just donate it or throw it away and be done with it. With the junk out of the way you should now have a better idea as to which stuff is going with you. From this you should be able to figure out how much packing supplies you need. You’ll need plenty of boxes to hold all of your things, along with tape to hold them shut. You’ll also need some bubble wrap for your more expensive items, or maybe even some tissue paper. When getting packing supplies, consider buying in bulk. Chances are you’ll need more than you think, so it’s better to have too much stuff than not enough. You can also go to places like your local grocery store and see if they have any freemoving boxes that you can take. Now that you have packing supplies, it’s time to start packing up. Don’t just throw anything you find into a box however. You should be more methodical to make the moving process run more smoothly. For instance, group similar items together inside boxes, but don’t overload them. You might have twenty books that you want to bring with you but putting them all into one large box will be almost impossible to move. When packing you should also label each box with what’s in it and what room it’s going to. This will make it easier for the movers when they are unloading and make your job easier as you’re trying to unpack it all. Finally, once all of your stuff is packed up, give your home a good cleaning. You don’t want to leave it a mess for the next owners, so take some time to sweep, dust, and clean the windows. 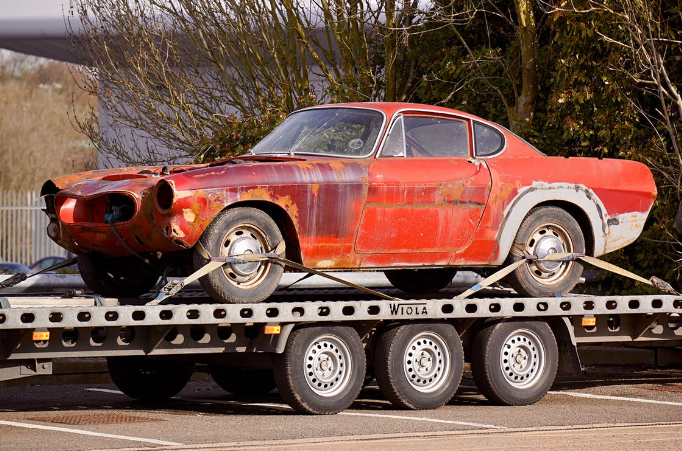 It won’t take you that long, and the new owners will appreciate it. Don’t go crazy though, as you’ll likely track in some dirt when you’re moving and the home will just become dirty again anyway. When moving, the key is to stay organized. Take things one step at a time and the whole process won’t seem so overwhelming. If it helps, print out this guide so that you can remember what you need to do, when you need to do it. Just remember that eventually moving day will be over, and you’ll be all settled into your new home, ready to relax. Judy Lees is a Content Contribution with darkroomclicks.com who helps businesses find their audience online through outreach, partnerships, branding and networking. He frequently writes about the latest advancements in digital marketing, digital photography & wedding photography. Knowing when to throw a baby shower is important because it sets up the entry of a new child into the world. One that must be celebrated with the friends and family of the soon to be parents. Showing the parents the support they and their child will receive in their new journey. To allow all key people to join in the celebrations you should make sure you give attendees enough time to block out their calendar and attend a baby shop in Melbourne. With that being said it is crucial the event is planned in advance. Traditionally, baby showers are held around four to six weeks ahead of the mother’s due date. Meaning typically the pregnancy is well into the safe zone and also unlikely that the baby will arrive too early. Plus, by this time the mother and father are likely to be well and truly looking forward to giving birth. Traditionally, baby showers have been focused around the mother. However, more recently, they’ve become more of a joint affair; known as a co-ed baby shower. For this reason, it is a good idea to speak to the parents and ask what their preferred type of celebration would be. If it is catering for both parents, make sure to incorporate games and questions for both parenting roles and invite an equal mix of attendees. 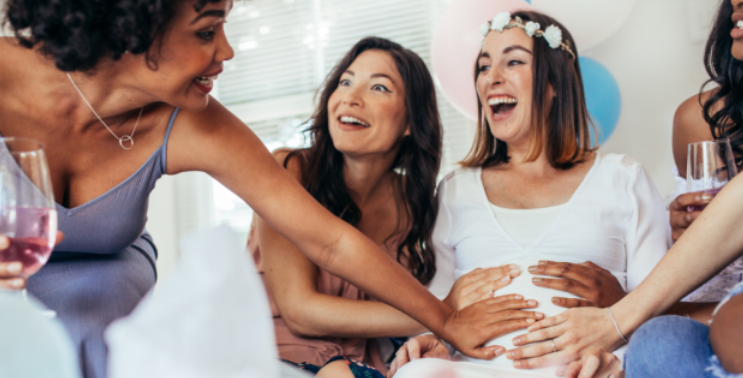 When organising a baby shower it is a good idea to work alongside other individuals which represent different parts of the mother’s or father’s social network. For instance asking a family member, a colleague, a school or university friend to help plan the invitation list is a good start. This way it will allow all facets of the parents’ social network to be involved and prevents any last minute invitations being sent to long lost cousins. After the invitations have been sent and you are starting to receive responses, it is the ideal time to start designing the special day. A good starting point is set an agenda as it creates structure and once finalised will give clarity to the event. It will also inform the expectations of both the parents and the attendees. Generally speaking the baby shower should be a mix of stories, games, socialising and snacks and have a clear structure. A good time of day for a baby shower is on a weekend, in the afternoon, ideally post lunch. This way it will allow people to do any errands before the shower and be totally present when at the shower. Planning the event duration to be a couple of of hours is near the right amount of time. It gives people a set amount of time and a structure to the shower, and provides people with an expected end time in case they have family commitments. Although if attendees wish to stay later then they can. A good structure to the shower consists of an ice breaker at the start, some nibbles and drinks followed by an easy introductory game. ‘Pick the baby photo’ is an example of a good starter game. It can be a bit time consuming initially, what with asking people to supply baby photos and arranging them on a canvas. However, once the preparation is complete – it is well worth the effort, particularly when everyone is laughing and getting along swimmingly. This game is a great ice breaker because it doesn’t directly focus on individual attendees, and is a more collective approach and a subtle way to enquire and get to know one another. This is particularly good for groups of people who don’t knows one another. 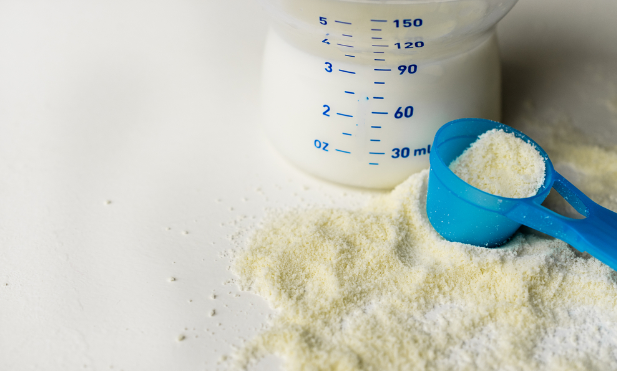 Once the initial ice breaker is out the way, it is a good time to focus back on the new parents. A fun game for mother’s that aren’t body or weight conscious is ‘measure the mum’, where attendees guess the size of the mother’s stomach. This provides a bit of light hearted fun but also creates some real surprises around the growth of a child and opens up conversations around how the expectant mother is feeling and can gear up questions around the birth. This type of conversation will be important for first time parents, especially if there are friends and family members in attendance who have already experienced childbirth. Remember that although a baby shower should be fun, it should also be informative and supportive. It is the perfect opportunity to show the expectant parents how supported they and their new child will be. Top Six Tips for a Hassle-Free Home-Shifting! Relocating or shifting houses isn’t that easy a task to accomplish. It requires lots of efforts and organizational skills to shift homes, and take the household stuff from one place to another. House moving, especially in big cities, is a quite dreary undertaking. One needs to be extremely cautious, regarding the movement of household items without damaging or losing any of it. Depending on a hired mode of transport or doing it yourselves, may come to your mind. But, the time taken, the accuracy and the professionalism should be considered in such crucial situations. That’s where an experienced and professional moving company in Fairfax va comes into the picture. Choosing the best packers-movers company is of utmost importance, as they are the ones solely responsible for the well-being of your possessions — namely, your large appliances, furniture, gadgets etc., are some of them. So, to avoid bearing the cost of breaking or damaging any item mid the moving process, do make sure to hire an efficient Fairfax based moving company. Blake & Sons Moving & Storage, Inc. is one such moving services firm, whom you can trust. They offer you solutions for all your moving and storage needs. But along with choosing the correct services for the moving process, you need to follow some tips and tricks that will make the moving process even easier. So, along with choosing one of the best residential movers in Fairfax, you still need to keep some things in mind for a smooth moving process. Some rules if followed will reduce your workload by half the amount instantly. Get your organizational skills up to date, and with this checklist in hand, you are bound to become a moving superstar. Put a Tag: Packing and unpacking of boxes is one of the most tiresome and frustrating work that one can engage in. To make this job a tad bit more tolerable, we advise you to put name tags on the boxes. These tags will let you know what exactly is in the box. This will save you a lot of time, which is otherwise spent in futile searches for a particular item. Fragile-Cautious: As obvious as it can get, you should definitely be more cautious regarding the fragile items. You should make sure to take special care (and use bubble wrap) to pack expensive and prone-to-breaking items like mugs, saucers, paintings, show pieces, glass etc. Avoid Unnecessary Baggage: When you are going about the packing process, you should separate out all the unnecessary and unwanted items. Put them in a separate box or bag, that you can dispose of, or sell it; and hence, avoid taking junk to your new house. Also, you can dump extra things inside a storage cot/pod while moving. Furniture Care: In case of furniture that comes with a disassembling option, make sure to utilize it to the fullest. Disassemble them, pack them separately, using newspapers, or shopping bags or covers and it will be a much more convenient process. Fridge Pointers: Your refrigerator definitely needs some care during moving. Along with informing whichever Fairfax residential moving company you choose, you should also take care of a few things. Before the moving takes place, empty the refrigerator of all items and make sure to keep t properly locked during the moving. Carry Valuable Items: This is yet another crucial factor to keep in mind. Do not mix valuable items like gold, silver jewellery, documents, cash, among other things that need to be moved. Ensure to carry these with you. So, these were some of the most useful tips and tricks that will come to your use, when you are moving houses. Follow each one of them, add some more to your liking, hire well known moving services and it will all be a piece of cake. Sounds too easy? Well, do it to believe it.